Ari Kaplan from Reinventing Professionals interviewed André König, BusyLamp VP Sales and Marketing, on how in-house legal operations teams can benefit from artificial intelligence, the maturity level of blockchain in legal departments and law firms, the common use cases for AI and blockchain in the legal community, and how prospective users can get started. 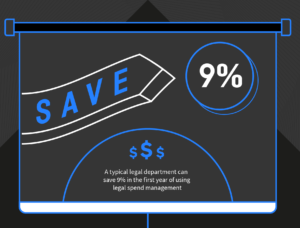 The history of eBilling and why legal spend management is now seen as a must have that generates significant savings for in-house teams. Matter cost control, improved team productivity and reduced legal spend are some of the benefits for in-house teams that use eBilling. But how do you quantify these benefits into a monetary savings prediction to make sure eBilling is right for your legal department? This on-demand webinar covers how to make a finance-based business case for investing in legal spend management software. Read why your legal department may substantially benefit from legal eBilling and what to consider when selecting a software provider. With over 15 years of experience, author Bryan King is one of the world’s leading figures in the field of legal eBilling. Don’t miss reading his assessment of the do’s and don’ts.